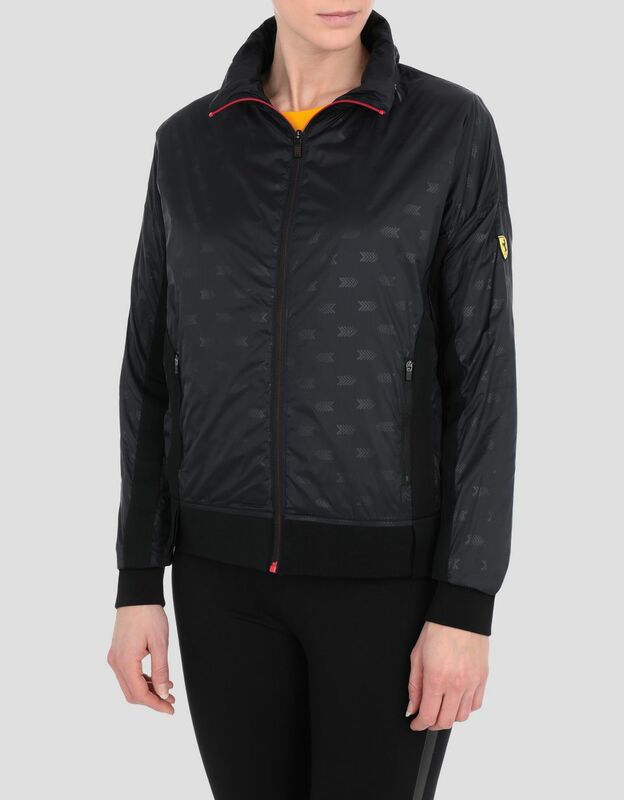 The arrow pattern and rib knit inserts define the design of this iconic yet innovative women’s Scuderia Ferrari rain jacket, which can be conveniently folded away. 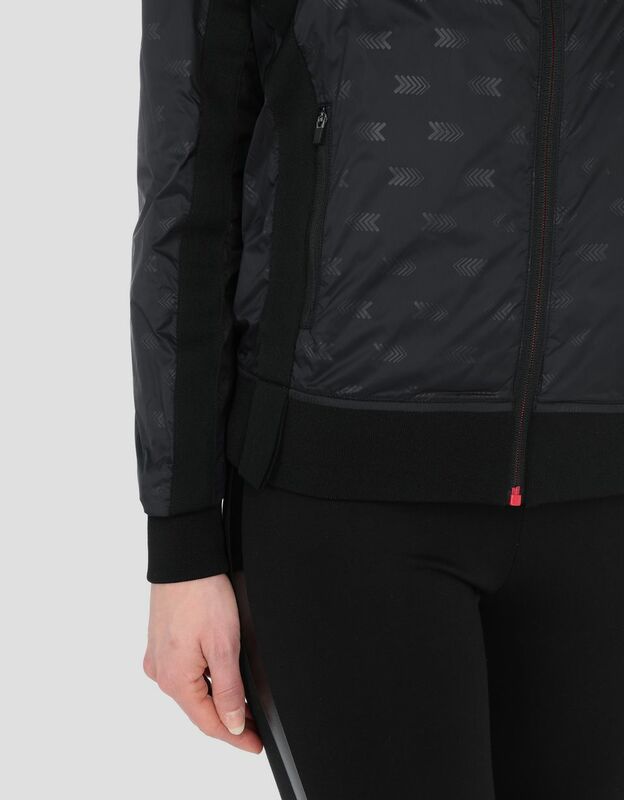 This water resistantAn item that is water resistant is made with a fabric that guarantees the body protection against low-intensity water sprays. 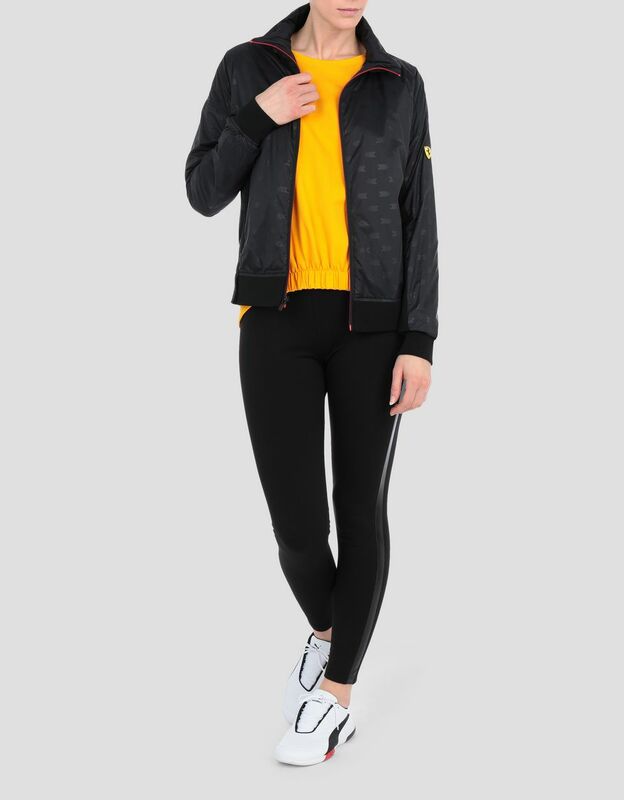 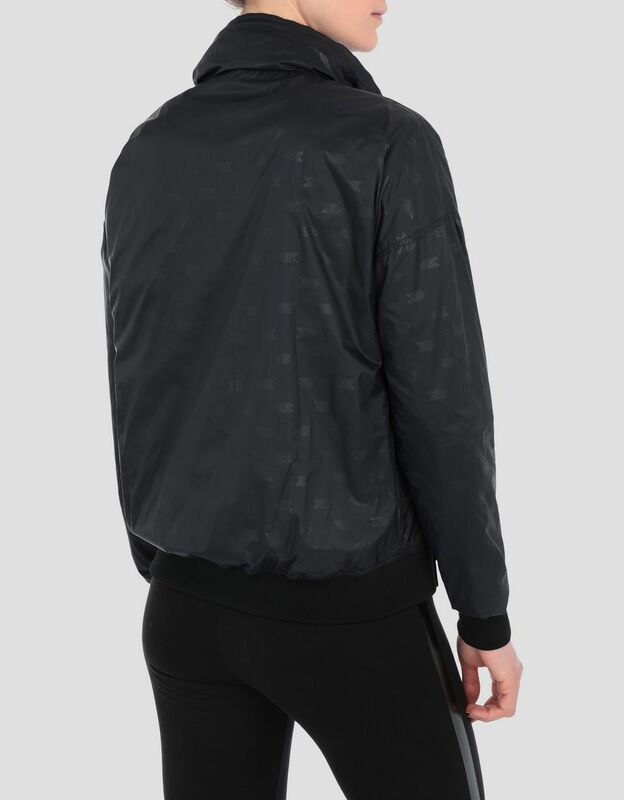 technical fabric jacket, which can be folded away and has a hidden hood in the collar, combines practicality and cult style. 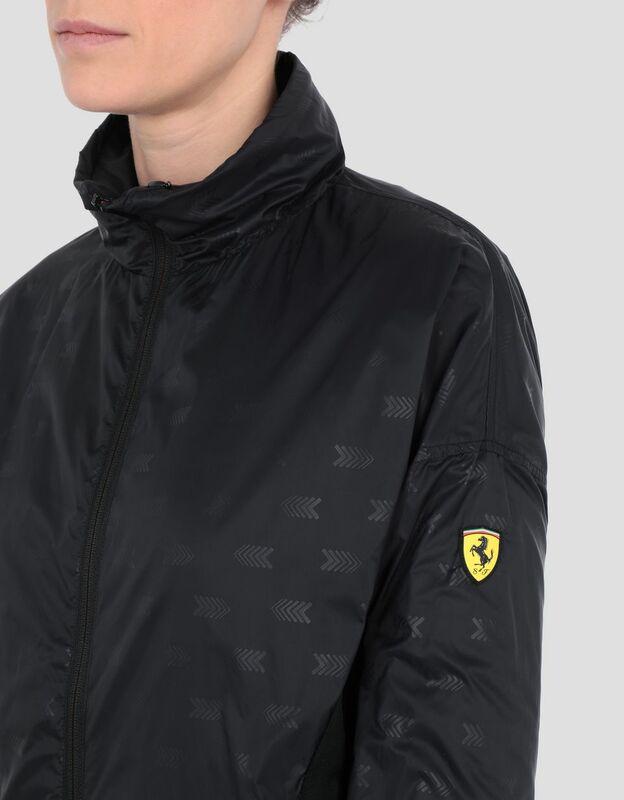 It features the all-over arrow print, the emblem of Scuderia Ferrari, and ribbed inserts on the front and under the sleeves, which are a nod to racecar liveries. 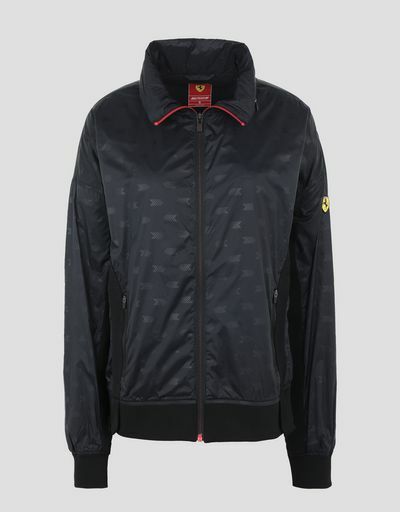 The jacket has a reversible zipper in the middle with athletic red teeth, and it is customized with the Ferrari Shield.